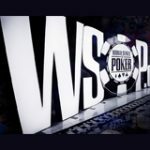 2011 WSOP Day 6 comes to an end with only 57 players remaining of the 6,865 registered for the Main Event. Day 7 starts this Monday with coverage being broadcast on ESPN2 between 7-11 pm. 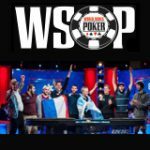 There are only two more days remaining until the November Nine are announced, the 2011 WSOP Final Table will continue on 5th November where the winning player will earn the most respected trophy in poker, a World Series of Poker bracelet and $8,711,956 of the prize pool. The current Chip Leader is Ryan Lenaghan with more than 12 million chips going in to Day 7. 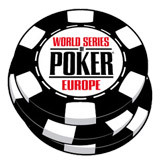 Only 57 players remain in the 2011 World Series of Poker Main Event with a few pros left surviving day 6 which began with 148 players. 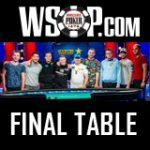 All players remaining are guaranteed at least $130,000 if they bust out on Day 7, play will continue until the final table which consists of 9 players known as the November Nine. Erika Moutinho is the Last Woman standing and will continue on to day 7 with more than 2 million chips. Joseph Cheong, 2010 WSOP November Nine was eliminated in 114th place on Day six. 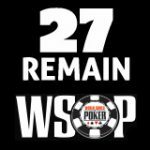 Poker pros still remaining in this years Main Event include: Bryan Devonshire, JP Kelly, David Sands, Tony Hachem, Erick Lindgren and David Bach. 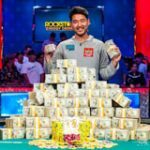 WSOP Player of the Year has changed from Phil Hellmuth to Ben Lamb who is now ahead in points because of his current position in the Main Event. Looks like Hellmuth with have to settle for 2nd place for the fourth time. Two of the remaining players Jody Howe & Nicolas Fierro won their seats from Party Poker qualifiers. The remaining 27 players from Day 7 will play Day 8 (19 July) play will continue until only 9 players remain. 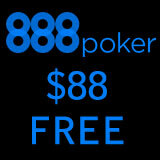 The 2011 WSOP November Nine will return on 5 November for the 2011 WSOP Main Event final table. * World Series of Poker and WSOP are trademarks of Caesars Interactive Entertainment, Inc. ("CIE"), and are in no way associated with WinAllPoker.